I recently reviewed the 3DS System and gave it a score of 9.0. 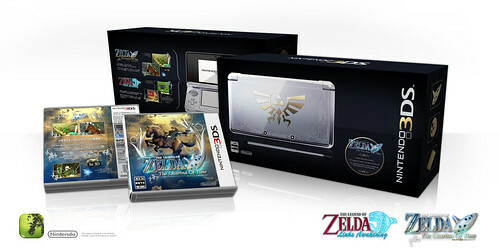 I am very happy with Nintendo’s new handheld and I think that they have done a magnificent job on its first iteration. However, there are still a few areas where the 3DS could be better. Some of these areas are hardware related and will need to be addressed in hardware revisions or successors. Others are actually software related and could be fixed with firmware updates. I would also like to discuss the future potential of the system and the many great things Nintendo and other developers can do with the system right now. Hardware1. Add more colors: When the hardware was first unveiled, it was unveiled in a batch of different colors. Nintendo is known for having one or two launch colors for their portables and then releasing a whole lot of other colors as their systems age. I love my Cosmo Black 3DS, but I would love to see a whole lot of other colors too. I would also love to see some 3DS units with engravings and such. …and make this happen now! 2. Better viewing angle: One of the weakest aspects of the 3DS is its viewing angle. You usually have to look at the system dead on in order to get the best viewing angle possible, if not you lose the 3D effect. I’m pretty sure most of us have already trained our heads into getting the best viewing angle possible quickly. However, there are games that can get so frantic that even the best of us lose that sweet spot. For the next iteration, I hope Nintendo is somehow able to improve this. 3. Change Power button location: The power button is located in an absurd place. I find myself hitting it by accident thinking that it’s the start button. This is very frustrating because it sends the 3DS into sleep mode with no way to get back to the game. Maybe Nintendo could place the power button on the upper portion of the 3DS where we are not liable to hit it by accident. For more on this subject, please refer to this thread. 4. Extra C-Pad: An extra C-Pad would do wonders for the 3DS. As I mentioned in my review: “A second C-Pad would have allowed the system to be able to play host to a lot of games that normally do not control well on portables because of the limited controls, such as First Person Shooters or third person adventure games that rely on manual camera control.” With that extra C-Pad you could easily play Metroid Prime, Kid Icarus Uprising, or even Call of Duty, without having to resort to weird control schemes. We could have also used it in Ocarina of Time to control the camera. Right now, we either have to use the touchpad as a camera (which is already garnering complaints from people who have played Kid Icarus Uprising), or the gyroscope (as in Ocarina of Time) which will make keeping the 3D sweet spot that much harder. In addition, by having a second C-Pad, Nintendo would have provided a lefty friendly system, when not using the D-Pad. See Nintendo, not that difficult to do. 5. 3D Inner Cameras: The 3DS should have had two inner cameras so that you could take pictures of yourself in 3D easily. 6. Better Cameras: Speaking of the cameras. Nintendo should learn from mobile phone companies and give us cameras with good resolutions 5MP+ and with flash. 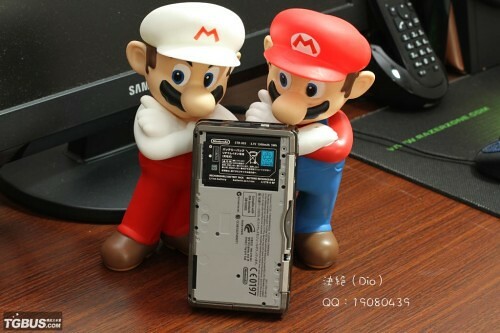 I’m sure we would be using our 3DSes as cameras even more if the pictures were of much better quality. 7. Recessed Select, Home, Start buttons: When you are playing a game, it is sometimes hard to gauge where any of these buttons are because you have no tactile feedback. I am not a fan of buttons with not tactile feedback, which is why I hate mobile phone games that try to shoehorn in virtual joysticks and buttons on a games that require it such as platformers, shooters, or fighting games. In the next iteration of the 3DS, Nintendo should redesign these 3 buttons so that they are recessed. 8. Better Stylus placement: The stylus is sometimes hard to take out because it is placed in the back of the system. It should be placed on the side of the system like with the DS Lite, so that we can take it out immediately. 10. Better battery: I would like a battery that lasts more than 5 hours with 3D, full speakers, full brightness, Wi-Fi, and rumble on. Nuff said. How to make the 3DS better and how it already will be Part II: Software and Part III: Potential for the future will be released later tonight. Share your 3DS stories here (and post your 3DS codes for the world to see)! Top Ten 3DS Virtual Console Wishlist Parts 5-8 Coming Soon. Good editorial. Those are all good suggestions, especially about the sweet spot and the battery life. I don't think the 3DS is going to be getting a second analog stick though. Miyamoto seems to like using the gyroscope as a camera. Pretty much agree on all of them. Although if they do add rumble, I'll be the first person to turn it off. Like you said, it would drain the battery faster and honestly I've never found it that good of a feature. Honest question: what did lefties do in the days of the NES and Super Nintendo/Genesis? Those weren't exactly lefty-friendly either, but I didn't hear a whole lot of people complain. Love the 3DS articles sirmastersephiroth. More colors would be cool. I got Aqua Blue, and my fiance will want to get one for herself, but we would like to have something to pick from other than Cosmo Black. That's a cool mock-up showing the extra C-Pad. I really wonder why Nintendo didn't implement it. I'm sure some of these features were not included in order to reduce cost, because we all know Nintendo is a company that always makes a profit off its hardware sales (unlike the other guys). The stylus is also a little bit inconvenient due to the fact you have to extend it to make it larger. When you want to make a quick switch to stylus, it's not as smooth when you have to use both hands now to get the stylus extended and into position. @ludist210 Not sure. Maybe they just had to adapt? Actually, traditional game pads are lefty-friendly with the D-pad on the left hand side! In most games the D-pad requires the most use and precision compared to the buttons on the right side of the controller (think racing games, for example). I think the main things on your list that I second are the inclusion of better cameras and better placement of the stylus. I suspect that the viewing angle will always be a limitation of the technology being used. And I can only hope that battery life will continue to be extended in future iterations of the device. I love my 3ds, and look forward to all the weird things are going to do with it, but I am already looking forward to the next revision. I would LOVE a bigger screen, especially after recently playing on a DSiXL, and an overall increase in quality of build. I can't shake that the 3DS just feels cheap and really plasticky compared to the DSi units. Maybe it's the really shiny plastic shell, maybe its the streaks that the bottom screen leaves on the top, maybe it's the wiggle in my top screen. I love it, but there is room for improvement. I like all of these ideas, but some of them are too drastic for a redesign, and might have to wait for the next model. I wish they would double the resolution. Of the screens and the camera (maybe more than double for the camera). I do agree that they have an advantage over righties when using the D-Pad. It's us who have had to adapt. However, I think it has to do more with being forced to hold the stylus with their right hand than anything else. By the way, something I didn't mention in the article is that the C-Pad is so good, I wouldn't be surprised if Nintendo used dual C-Pads on the the Wii 2 controllers instead of normal analogue sticks. Edit: This was actually going to be just one article but, just like with the 3DS review, I ran into some coding issues because of the size of the article. Since this wasn't a review, I just decided to split it up into three parts. I didn't think of it that way. Good point. Granted, I haven't run into a single 3DS title that has you using the analog stick and the stylus yet, but I can see where it could be a problem in future games. I also prefer the Slide Pad to an Analog Stick in some ways. Agreed on pretty much all counts, except for adding another Circle-Pad. It's just not needed, IMO. Anything a second analog control can do, the touch screen can do. I actually prefer touch screen for FPS games. It's faster and more intuitive, IMHO. Camera control can be easily implemented on the touch screen, too. But other than that, yeah. Good points. Actually... I love any of those three alternate colours in the OP. Bring it! With a price drop. 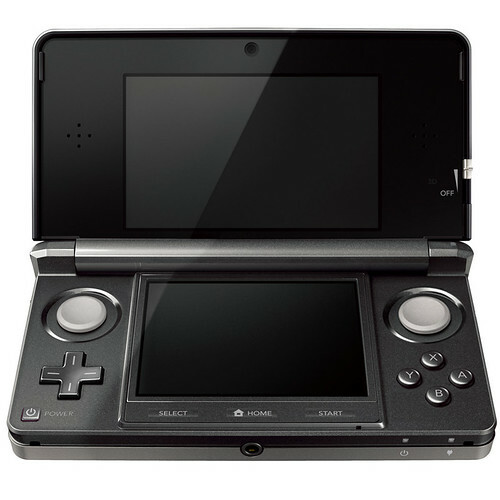 How to make the 3DS better and how it already will be Part II: Software is up. Something I read somewhere that I agree with: The glasses-free 3D tech WILL be improved. There is too much potential money to be made. And forget the rumble. 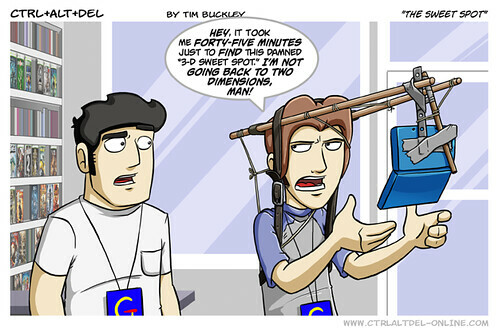 You just complained about losing the 3D! Think about what would happen with rumble! Thank you @roykoopa64 and thank you all for the support! I truly appreciate it. I also added a related things section as @roykoopa64 had suggested in one of our PMs. I agree that it helps bring attention to past articles. Touché. I guess I would have to turn off the 3D when using rumble. An extra C-Pad would be great, and should have been in from the start, but it's not going to happen until the 3DS's successor; whenever Nintendo revises their handheld hardware, they make sure that people with the older models can still play new games, and no future games will come out that can only be played on the newer model. By having an extra C-Pad it would pretty much force people to upgrade since games would start using it. DSi may have been a little bit of an exception, but that's only because it only had downloadable games that it could only play, and an of its features that games took advantage of, like the cameras, were just extras, and not super important to the main game. No problem, you've made excellent contributions to the site. And it's definitely convenient having all the 3DS-related article links in one location at the end of the article! I agree with all of your suggestions, although I would go on the reverse order in terms of importance. The most necessary hardware updates for me are battery life, second C-Stick, and wider 3D angle, in that exact same order. I'm kind of surprised that Nintendo didn't learn anything from PSP's woes of battery life and lack of second thumb stick. Thanks. Actually, I wasn't going in order of importance. I was going from the outside of the unit to the inside of the unit (1. Outer Shell, 2. Buttons, controls, screens, cameras, stylus 3. Rumble, Battery) with no order in particular. I just put it in an order where it would flow well.